An economist, Levenstein first joined ISR's Survey Research Center (SRC) in 2003 as the executive director of the Michigan Census Research Data Center (MCRDC), a joint project with the U.S. Census Bureau. She has taken an active role at ISR, joining the Director's Advisory Committee on Diversity in 2009 and serving as the chair of ISR's Diversity, Equity and Inclusion strategic planning committee and as the liaison to the larger university program. 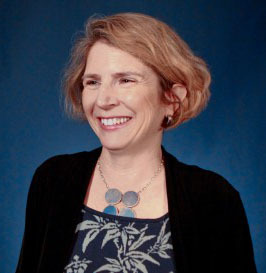 Additionally, Levenstein is associate chair of the American Economic Association's Committee on the Status of Women in the Economics Profession and past president of the Business History Conference. Levenstein, Margaret, and Stephen W. Salant. 2007. Cartels. Cheltenham, UK; Northampton, MA: Edward Elgar. Levenstein, Margaret, Jagadeesh Sivadasan, and Valerie Y. Suslow. 2015. "The effect of competition on trade: Evidence from the collapse of international cartels." International Journal of Industrial Organization, 39: 56-70. DOI. Abstract. Kabo, F., Y. Hwang, Margaret Levenstein, and Jason Owen-Smith. 2015. "Shared Paths to the Lab: A Sociospatial Network Analysis of Collaboration." Environment and Behavior, 47(1): 57-84. DOI. Abstract. Levenstein, Margaret, and V. Suslow. 2014. "How Do Cartels Use Vertical Restraints? Reflections on Bork's The Antitrust Paradox." Journal of Law and Economics, 57: S33-S50. DOI. Abstract. Kabo, F., N. Cotton-Nessler, Y. Hwang, Margaret Levenstein, and Jason Owen-Smith. 2014. "Proximity effects on the dynamics and outcomes of scientific collaborations." Research Policy, 43(9): 1469-1485. DOI. Abstract. Levenstein, Margaret. 2012. "Escape from Equilibrium: Thinking Historically about Firm Responses to Competition." Enterprise and Society, 13(4): 710-728. DOI. Abstract. Levenstein, Margaret. 2012. "Antitrust and Business History." Southern California Law Review, 85(3): 451-457. Levenstein, Margaret, and V.Y. Suslow. 2011. "Breaking Up Is Hard to Do: Determinants of Cartel Duration." Journal of Law and Economics, 54(2): 455-492. DOI. Abstract.